Perennial Power Holdings is unique in the independent power production industry. Perennial was established in 2002 as a joint venture of Sumitomo Corporation and Sumitomo Corporation of Americas. Sumitomo currently owns over 6GW power generation all over the world. 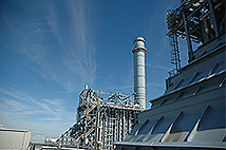 Hermiston Generating Plant provides electricity to nearly 500,000 households in the Pacific Northwest. Perennial Power, Inc. (Perennial) is part of the global portfolio of Sumitomo Corporation in the power business. It was formed by Sumitomo to invest in independent power plants in North America. Perennial owns, operates and manages power plants, leveraging the unique advantage of a globally integrated Japanese trading company with industry-oriented expertise, focusing on conventional and geothermal power generating technologies, as well as on enhancement of reliable power grids, including energy storage. To contribute to community development and local economies toward a sustainable society, Perennial supports key infrastructure in the local community through long term contribution and inclusive solutions to stakeholders using Sumitomo’s unique value proposition. Sumitomo currently owns over 6GW power generation all over the world and looks for further expansion of its contribution to global economy. Perennial was established in 2002 as a joint venture of Sumitomo Corporation and its largest subsidiary, Sumitomo Corporation of Americas, to acquire assets in the U.S. energy industry.